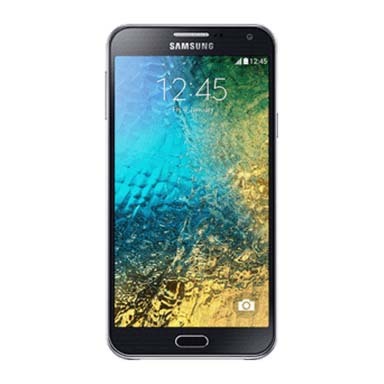 The Samsung Galaxy E7 was launched in January 2015 as a part of the brand’s E series. Powered by a 1.2 GHz quad core processor and 2 GB RAM, it smoothly handled day to day smartphone tasks. It has a decent 13 megapixel camera on the rear and a 5 megapixel camera on the front. The Samsung Galaxy E7 featured a 5.5 inch touchscreen display and a resolution of 720 x 1280 pixels. Its 16 GB internal storage could be extended upto 64 GB using an SD card. It was powered by a 2950mAh non-removable battery and had dual sim slots that supported only GSM carriers. Compared to the current phones from Samsung and other brands within the same price range, Galaxy E7 is outdated, especially when it comes to the processor and display. Camera quality is poor with no additional flash or sensors. Simply put - it is worth a sale. If you have made up your mind to sell your old Galaxy E7 and are looking for genuine buyers, your search ends at Cashify. Cashify is a trusted name where you can easily sell your old phone and gadgets online with just a few clicks. Cashify has partnered exclusively with brands like Xiaomi, OnePlus, Apple, Samsung and Motorola to provide a trustworthy environment where consumers can sell their old phones and gadgets. It is the best place to sell used phones online with 9 lakh customers served till date and 11 lakh gadgets encashed. 1. Head over to the Cashify website and enter the brand and model of the phone you want to sell - in this case, the Samsung Galaxy E7. Questions regarding current physical condition of the phone and warranty period need to be answered as well. 2. When this is done, Cashify will use its automatically generated pricing mechanism to present a fair and transparent price. This price is based on the current market price of the phone and your responses. 3. If the price seems suitable, a free pickup can be arranged at a time that suits you and a place that is convenient to you. 4.You will be paid instantly by the Cashify representative in exchange for the old phone. e-wallets, cash and even bank transfers are the modes of payment available. Cashify takes into account all the nuances that one faces while dealing with online portals and selling of old mobile phones and gadgets. It is an easy, safe and rewarding way to sell your old phones and gadgets.